Newcastle University UK has established an international branch campus in EduCity, Nusajaya, Johor, to provide undergraduate degrees in Medicine (MBBS) and the Biomedical Sciences (BSc), and opportunities for postgraduate study. 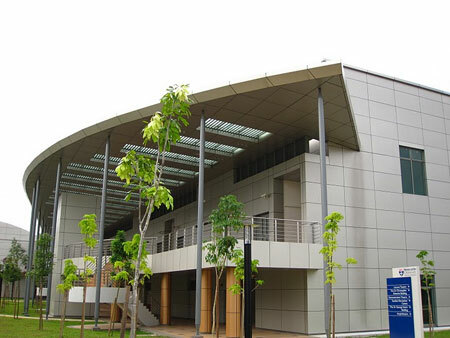 The branch campus is known as Newcastle University Medicine Malaysia (NUMed). 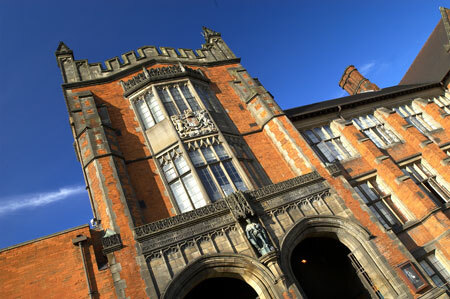 The NUMed branch campus is an integral component of Newcastle University, which is a founder member of the UK 'Russell Group'. Newcastle is a long established world-class research intensive university, delivering teaching and research externally confirmed as of the highest international quality. Newcastle University is proud of its heritage; the parent campus in the North East of England was founded in 1871 but the University's history goes back to 1834 when a School of Medicine and Surgery was established in the city of Newcastle upon Tyne. To deliver cost-effective medical programmes of the highest quality in order to meet the needs of both our students and the regional health economy, and to translate the benefits of our research, development and lifelong education for the societal benefit of Malaysia and the greater Asian region. Quality remains the essential reason for Newcastle University's prime market position as an international medical education provider. All quality-related activities are inextricably linked to contribute to the overall high-end product and service: well-designed innovative programmes are delivered to students by excellent, highly motivated and well-qualified faculty complemented by carefully considered student support strategies and underpinned by a firm ethic of scholarship. Malaysian students have been benefiting from Newcastle University's quality programmes for many years. The first time a Malaysian student graduated from Newcastle was in 1965 and there are currently hundreds of Malaysian students studying at Newcastle University, UK across both undergraduate and postgraduate programmes. The establishment of NUMed here in Malaysia means that future students will now have the advantage of a 'value package' which comprises the respected Newcastle 'brand' delivering quality UK-preferred medical education in Malaysia at an affordable price. The academic concept underpinning NUMed Malaysia is for the transnational delivery in Malaysia of a range of undergraduate biomedical and medical degree programmes, equivalent and of identical standard to those of Newcastle University's UK-based provision but contextualised to Malaysian circumstance and taking into account the cultural differences. The programmes of study lead to the award of the same degrees as those studied at the parent campus in the UK. Many of our programmes offer opportunities for periods of study in the UK. The first and core undergraduate programme, upon which NUMed Malaysia is founded, is Newcastle's five-year Bachelor of Medicine, Bachelor of Surgery (MBBS) programme. The programme offered will lead to the award of the same degrees from Newcastle University. The MBBS programme is split into two phases: Phase I - extending over two academic years, emphasises the integrated nature of medical education. Phase II - provides clinical training in a range of primary, secondary and tertiary care settings. The student-selected choice strand of the curriculum runs throughout the programme and provides students with the opportunity to study topics of their own choosing. This enables them to develop key skills and pursue individualised areas of interest. Our MBBS programme is designed to develop the skills students' need to become independent self-learners and to prepare them for postgraduate study and a lifetime of medical learning. At first, our structured learning environment provides students' with clearly defined goals and direction, and new material is introduced and explained by teachers who are skilled at delivering and explaining information to large groups of students. However, as the students' experience and confidence develops and the programme progresses, our teaching and learning strategies encourage and ultimately require students to adopt increasing self-reliance and independence in their study and learning, helping them to prepare for their career ahead. While teaching in lectures and in a variety of clinical settings remains of pivotal importance, a variety of other innovative methods are used, with the choice of method being carefully chosen to match our particular educational objectives. and students' are expected to demonstrate the appropriate level of attainment in each of these three domains. The assessment process is designed to encourage and reward transfer of learning from one Stage to the next, and equal emphasis is placed on in-course assessment and end-of-Stage examinations. Upon successful completion of the entire programme students will be awarded Bachelor of Medicine / Bachelor of Surgery (MBBS), which will be conferred by Newcastle University. It is planned to introduce selected BSc programmes from Newcastle University's undergraduate biomedical sciences portfolio in Malaysia from 2013. Our signature building which represents the student-centric ethos of NUMed, lies at the academic and social heart of the campus and includes social learning space, the library /information centre, the student Wellbeing Centre, a cafeteria and student common room. The design of the Learning Resource Centre has been informed by a number of emerging, ground-breaking facilities at UK higher education institutions and recognises the social origins of learning and the need for interaction between learners on different levels and in different forms. It is also a self-regulating environment which places discussion on an equal footing with solitary learning – it is the policy of NUMed Malaysia to give students responsibility over their learning environment as well as over the way they learn. Comprises a mix of open-plan and cellular work space for the resident and visiting academic faculty, and the managerial and administrative staff. These include two 200-seat presentation lecture theatres, one 100-seat 'Harvard Style' demonstration theatre, 20 classrooms / breakout rooms, and two 50-place ICT classrooms. Comprises three well-equipped teaching laboratories and the postgraduate Continuing Professional Development suite. Based on a site adjacent to the academic complex, together with communal social and recreational amenities, high-quality, secure residential accommodation is provided for students. From 2012 NUMed Malaysia students will have access to the world-class physical recreation and sports facilities of EduCity. The sports complex will feature stadium, aquatic centre and indoor arena. The stadium in the RM95.32 million complex will have a seating capacity of 14,000, a soccer / rugby pitch and a 400-metre athletic track complying with the Association of Athletics Federation standards. The aquatic centre will come complete with Olympic-size swimming and diving pools which meet the Federation Internationale' de Natalion (Fina), or the International Swimming Federation's standards for water polo and synchronised swimming. For those who enjoy team sports, there will be a choice of indoor or outdoor courts for basketball, badminton, volleyball and futsal, while for those who like squash there will be three squash courts. The NUMed Malaysia campus incorporates the innovations in teaching and learning offered by modern information and communications technology (ICT). All learning spaces (e.g. lecture theatres, teaching rooms, laboratories, social learning spaces) have been developed to take advantage of the opportunities offered by the use of advanced learning technologies. In addition to the normal networking and digital projection facilities, all teaching rooms are equipped with video capture systems. These systems will be used to capture key teaching episodes, allow students to watch other teaching and also to support assessment in the laboratory and clinical skills arena. Newcastle University's pre-eminence in the provision of student support and guidance is evidenced by it being ranked consistently highly in the National Satisfaction Survey. Newcastle's excellent model and approach to the provision of both the pastoral and academic support of students is mirrored at NUMed Malaysia. Our strategy for student support and guidance is based on the provision of clear and timely information, academic guidance and individual tutorial support, backed up through the Student Wellbeing Service with specialist academic and welfare services. A member of staff is allocated to students as their personal tutor to offer general academic guidance and pastoral support. In addition, our students operate their own 'peer-parenting' system whereby every new student is attached to several more senior students who are available to offer advice and guidance. We take full advantage of communication and information technology to provide additional support throughout the learning process. Professor Reg Jordan was appointed Provost and CEO at Newcastle University Medicine Malaysia in 2008. Professor Jordan's vision is for Newcastle University's international branch campus to become a premier centre for academic medicine in South East Asia, contributing to meeting the needs of Malaysia and the region. A medical teacher and researcher for more than 30 years, Professor Jordan's background is in anatomy, immunology, and medical education. He has worked in Malaysia and the United States of America, as well as in the UK. At Newcastle University, UK, he served as Head of the Department of Immunology, Director of Medical Studies, Deputy Dean of Medicine, and Dean of Undergraduate Medicine. Previously, Professor Jordan was the Director of the UK Higher Education Academy Subject Centre for Medicine, Dentistry and Veterinary Medicine; an Associate of the General Medical Council and Team Leader for the Quality Assurance of Basic Medical Education; a Subject Specialist Reviewer for the UK Quality Assurance Agency, and editor of the first national QAA/GMC Subject Benchmark for Medicine. In recognition of his contribution to the development of medical education in the UK, he was the recipient of one of the first National Teaching Fellowships. He was elected to honorary Membership of the Royal College of Physicians and has been awarded Fellowship of the UK Higher Education Academy. Professor Jordan's current interests include transnational education, quality enhancement in medical education, and leadership development in higher education.